If the story of Jesus is historical then why contemplate unhistorical episodes of that story? 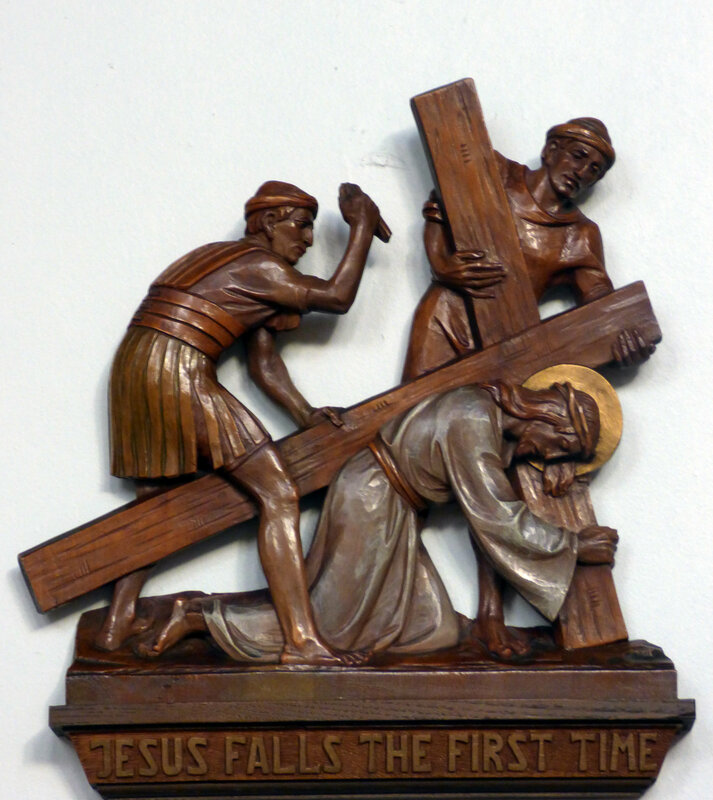 Why would the Roman soldiers coerce Simon into helping carry the cross? To what does the prophecy uttered by Jesus to the Women of Jerusalem refer? What do the hieratic gestures of the hooded figure signify? What do the colours of the women’s robes signify? Why does it take two people to strip Jesus? Why is one of them bare headed and the other not? There’s usually the same answer to all questions about religion, and I’m not going to give it here. Monday morning is too early to be offensive to the greater part of the earth’s population. Sorry. I’m jumping in when the show’s half over. I see ‘Jesus’ and can’t think why anyone would want to divorce the historical from the religious figure. As a historical figure he’s sunk more or less without trace, so, take the religious aspect away and you end up with a nobody. Am I still missing the point?